Avatar remains one of the biggest original sci-fi movie properties to have emerged over during the 21st century. Directed by acclaimed filmmaker James Cameron way back in 2009, the first film greeted initial audiences as a major box office success that generated plenty of positive word of mouth from critics and general audiences alike upon its theatrical release. In the intervening years, however, Avatar has become something of a sore subject among some sci-fi genre fans and cinephiles who believe that the movie was a little too grandiose in its stated thematic ambition, resulting in a self-indulgent excuse for special effects wizardry that more often than not drowned out the movie's better cinematic intentions. Nevertheless, Cameron has been forthright when speaking to the writing process involved in making the next four movies in the franchise, comprising a major motion picture production sure to turn heads starting in 2018. However, Cameron was finally willing to admit that even he was a little surprised to find that he had four more movies in him to write. "The Avatar story arc was originally meant to be a trilogy, but I overwrite, and my writers overwrote as well. But basically the first of the sequels cloned itself and became two films, so now it’s four films. And the studio’s very happy with it. They have an opportunity to make more money, but it’s also an opportunity to spend a lot more money, too, so there’s a clench factor." Granted, some of this explanation rings a little false and overly calculated on the part of the film studios attached who undoubtedly want to bilk the Avatar franchise for every last penny that it's worth. Then again, Cameron also stated his passing interest in taking the franchise to television or podcasting, as animation and radio dramas in particular hold some appeal to the filmmaker in telling this particular story honestly and with the utmost amount of creative integrity. Whether or not the four upcoming Avatar sequels will ultimately prove up to snuff remains to be seen, but Cameron doesn't appear to be showing any signs of letting up on what is sure to be a sci-fi epic to give the likes of the Star Wars franchise a run for its money. Certain film fans might be excited for the successors in Cameron's original series of blockbuster hits, but the rest of us might not be quite as willing to come on board wholeheartedly to what appears to have been an unwieldy creative process to say the very least. 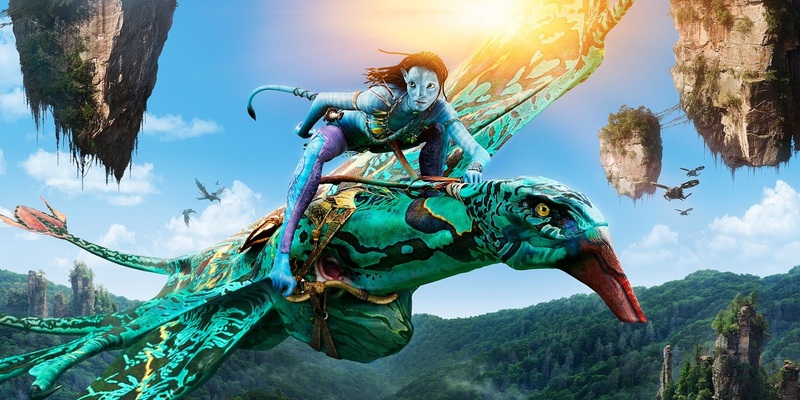 Avatar 2 is expected to reach theaters in December 2018, followed by Avatar 3 in December 2020, Avatar 4 in December 2022, and Avatar 5 in December 2023.